our factlry as a professional supplier specializing in magnets and magnetic assembly, was founded be on 1997 in Dongyang Economy and Technology Development Zone, Zhejiang Province, Mainland China. The factory started production with only one workshop and no more than 100 employees, to attain a sales revenue of US$1000,000 in its first season. In 2002-2003, almost doubled the sales revenue with over US$180,000. In next years, annual 60% sales growth was successfully achieved. 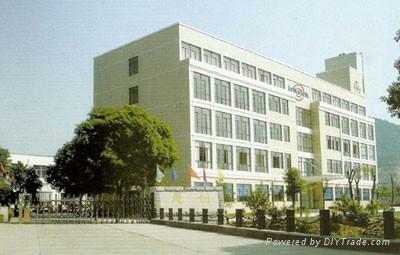 Now Dongyang magneitc stone serves the market with quality products of mid to higher permanent magnets, such as NdFeB, smco, Alnico and rubber magnet. 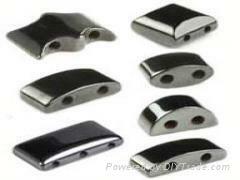 If you have any requirements for permanent magnets, pls feel free to let us know. We will try to meet all your requirements with exceptional quality, reasonable price, on time delivery and so on produce hundreds magnet series products including magnet ornament,necklace,insole,earring,toy and amusement health care xxxxx products has been get over 20 national patent and get the honorary title of"China Market Great Brand"and"China well-known brand"from China Consumers-protect Foundation.